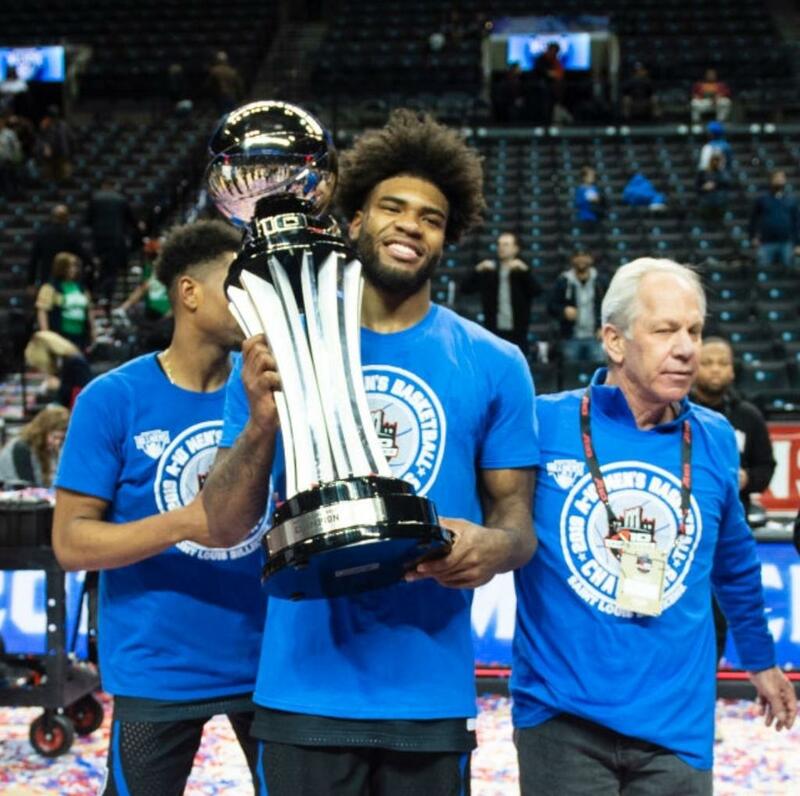 After making plans to head to Brooklyn for the A-10 Tournament last week, the reassurance that some of my guys were loving their lives at programs within the conference and a couple of good games would’ve left me completely satisfied. But by the time Friday’s four games ended and the Saturday matchups were set, I realized I was going to get a hell of a lot more than I expected. Here’s an in-depth look into a weekend that could end up playing a huge role in the futures of a handful of New England Prep products. 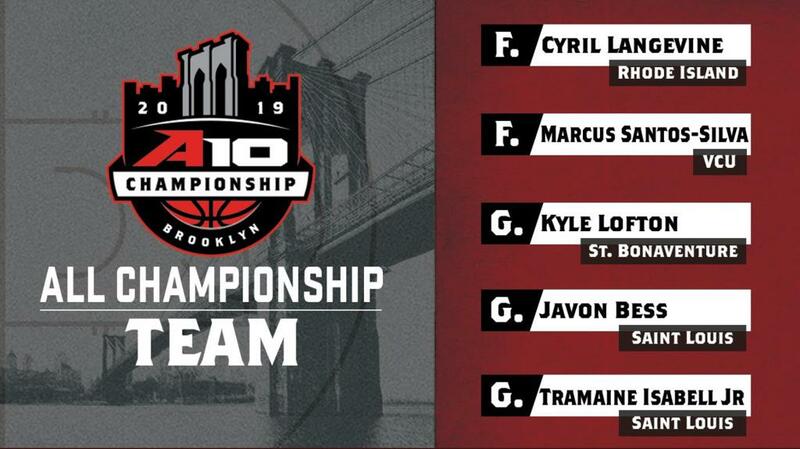 VCU (16-2 in A-10) ran through the conference on the strength of lead guard Marcus Evans’ 13.8pts/3reb/3ast and role players like Vermont Academy/The BABC-alum Marcus Santos-Silva, whose elite rebounding resume dates back to 2016 when he finished among the EYBL’s top-10 in the category. 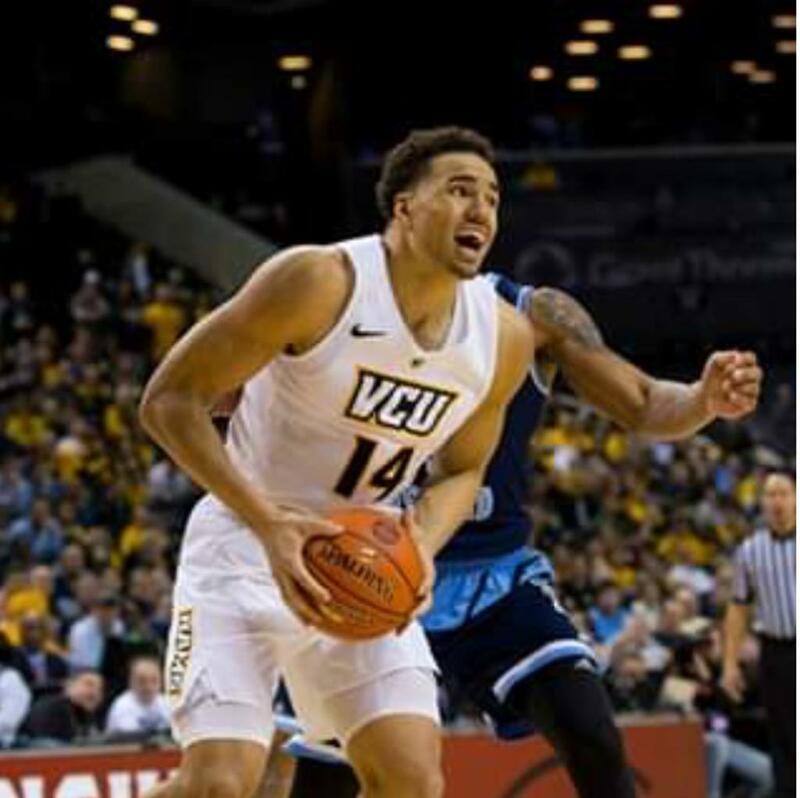 One of their losses was to Rhode Island earlier in the season but VCU had won 12-straight heading into the tourney and weren’t planning on being derailed. Then Evans went down with a knee injury midway through the 1st half and their plan changed drastically. Mike Rhoades’ team essentially ran their offense through Santos-Silva for the remainder of the game and the 6’7” Wingspan Big Man went to work! Even when plays were run to his opposite side, Santos-Silva found ways to make an enormous impact on the outcome of the possession. Rhody had no answer for the sophomore from Taunton, as he pounded and finessed his way to an uber-efficient 26 points (8-14 FG/10-14 FT) to go along with 22 rebounds (10 offensive) in 31 minutes of action. When you’ve got a player who controls the paint on both ends of the floor in such a dominant fashion, it usually leads to a win. But thanks to another NE-product that wasn’t the case. MacDuffie/Expressions-alum Dana Tate was brilliant off the bench for the Rams and injected a ton of life into the lineup from the moment he checked in. Tate’s putback dunk during a 2nd half run put URI up 61-56 and they never looked back. 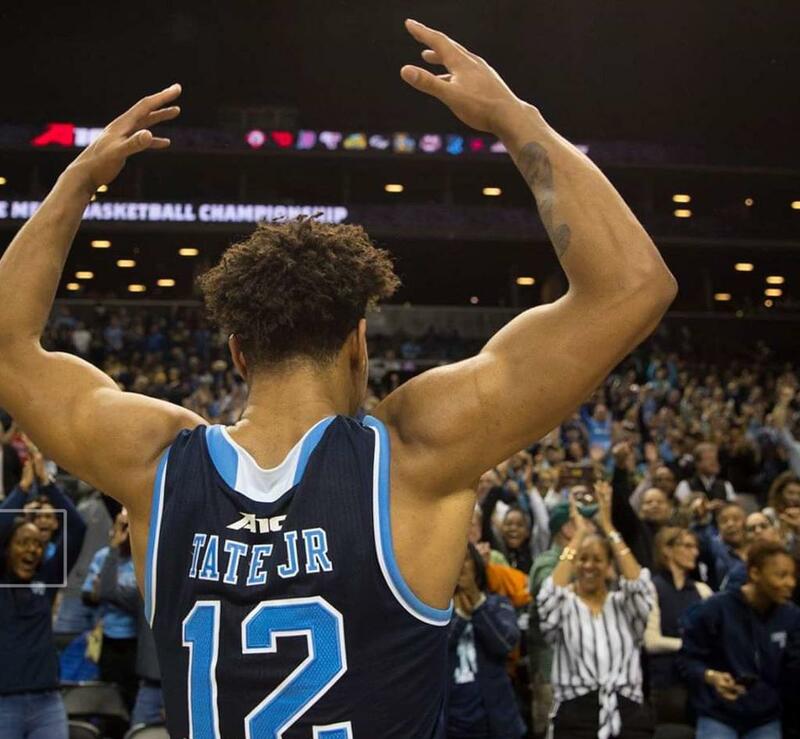 Tate finished the night with 12 points (5-6 FG/2-2 FT), 6 rebounds, 2 assists, a block and a steal in Rhode Island’s 75-70 upset. Before we go any further, let me say this: I’ve been a huge advocate for Kyle Lofton and everything the young man brings to the table for a couple years now. Aside from the Twitter history, there are at least a half dozen high-major coaches from across the country who would vouch for that too. But since I blew up their phones on a weekly basis and did everything short of putting a gun to their heads trying to get them to offer -to no avail- they won’t want be to identified here. That’s their problem. If any of the following about Lofton sounds a biased, that's because it is! St. Bonaventure’s loyal fan base rallied in full force to get their first taste of the type of success that Lofton will lead them to over the next 3 years. The freshman Floor General didn’t disappoint. 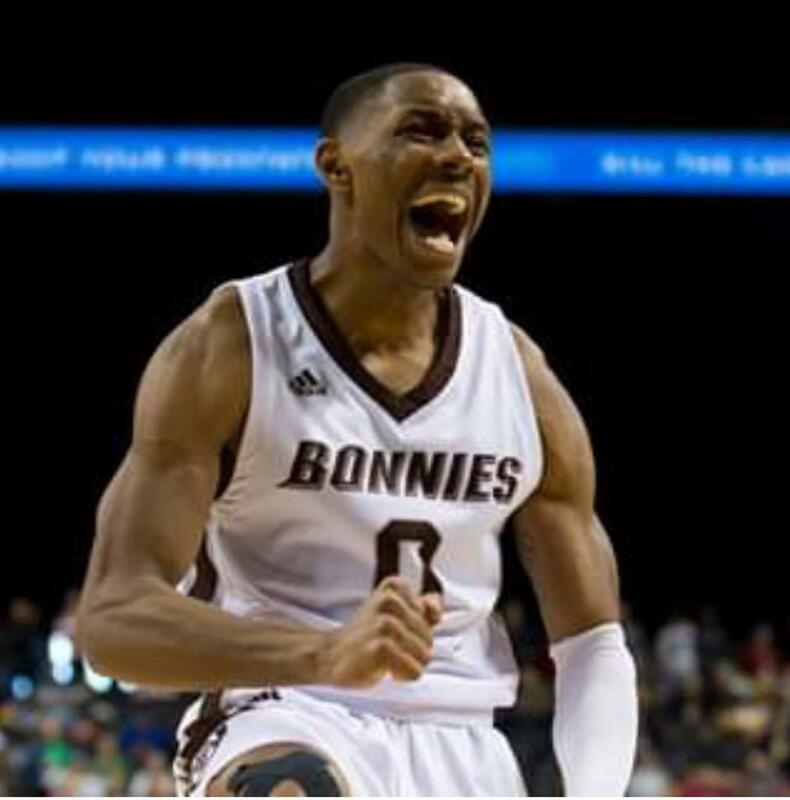 Despite playing with a badly sprained ankle that required around-the-clock care from the Bonnies training staff, Lofton put on a brilliant performance and finished with 20 points (6-12 FG/4-6 3pt/4-4 FT), 5 assists against just 1 turnover while playing all 40 minutes. The Bonnies have reaped the benefits of another Putnam Science product throughout the season as well. 6’11” big man Osun Osuniyyi finished 7th in the nation with 2.7 Blocks per game and he showed NBA scouts glimpses of his prodigious potential all weekend. SHOOOON finished with 7 points, 8 boards, 3 blocks and 3 dimes in a 68-57 win on Friday night. 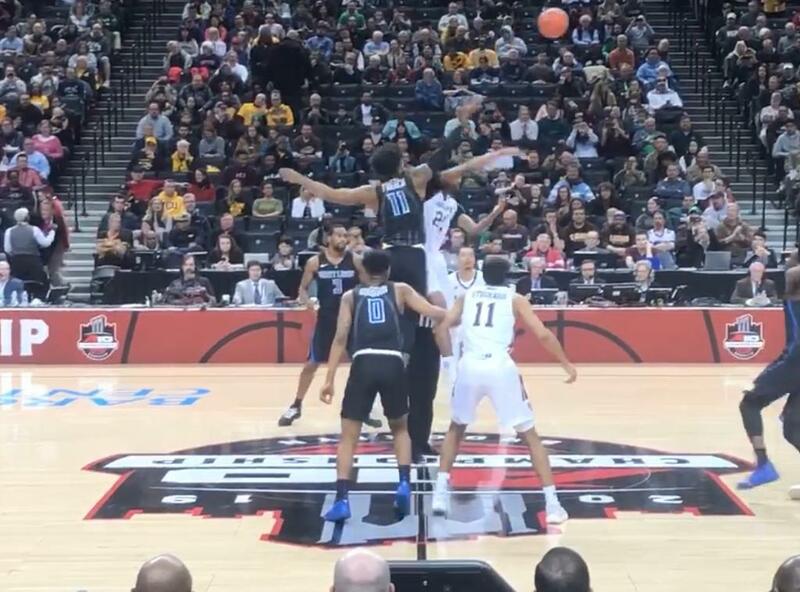 After a dynamic 28-point, 8-rebound, 4-assist performance in an opening round win vs Duquesne, NBA scouts were interested to see how St Thomas More-alum and 6’7” redshirt sophomore wing Charlie Brown would respond against a Davidson squad led by Northfield-Mt Hermon-alum Kellan Grady. Brown struggled from the floor, shooting 4-13 FG and 0-3 3pt, but his motor or effect on the game never stopped and led to a 16-point, 12-rebound, 4-steal “off” night. He also went 8-8 from the stripe, which never hurts when NBA personnel are around and evaluating the true signs of a high-level shooter. We’ll go in-depth on Grady during the NBA's look into the tourney but he finished with 18 points and 6 rebounds on 7-18 FG/2-4 3pt/2-2 FT in Davidson’s 70-60 win. Obi Toppin was getting a ton of buzz heading into this one. The Mt Zion Prep product earned it after being named to the conference’s Rookie of the Year as well as a member of the All-A-10 1st Team prior to the tourney and finishing with season averages of 14.2 points, 5.6 rebounds and 1.8 assists for the season. But Toppin faced a full grown man tasked with stopping him in the 2nd half of this particular game. That man’s name is Hasahn French and that man did his job. Toppin finished with 7 points on just 3-9 shooting with 5 rebounds and 4 turnovers. 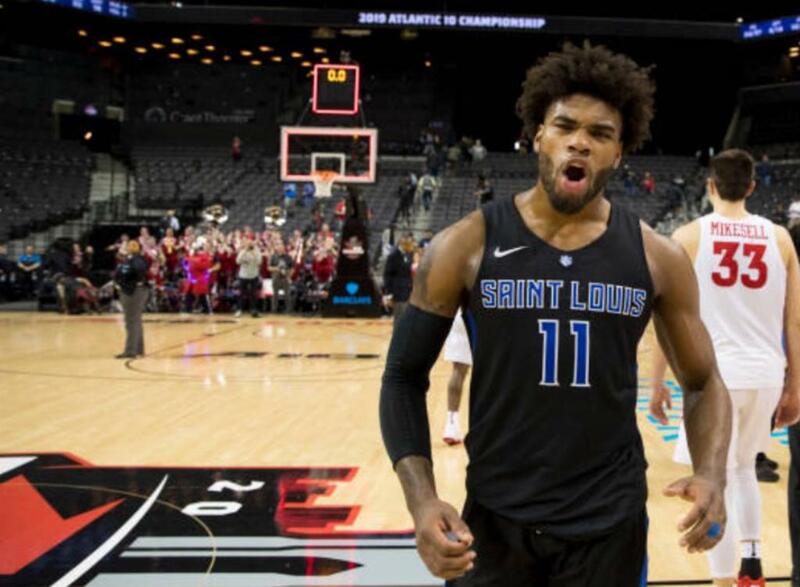 With Tremaine Isabelle Jr and Jordan Goodwin shouldering the scoring load for the Billikens, French was content to play shut-down defense and do the little things to help his team win. Even though he finished with 4 points, 5 rebound, 3 steals and 3 blocks, French played a pivotal role in swinging the game’s momentum in his team’s favor. French’s impact was felt throughout the Barclays Center but it probably slipped past the eye of anyone whose only frame of reference was a box score. Intelligent members of NBA Front Offices recognize this type of impact and value it accordingly. Believe that! Another game, another exceptional performance out of Kyle Lofton and Osun Osuniyyi. Coming out of the locker room down 28-27 at halftime, Lofton hit Osuniyyi for an easy layup. SHOOON followed that with a tip-in on the next possession and Lofton found fellow frosh Dom Welch for a 3 shortly after. Back-to-back layups by Lofton gave the Bonnies a 39-36 lead with 13:17 left and they never looked back. The Putnam Science duo would score or assist on 27 of the Bonnies 41 points in the 2nd half as they pulled away for a 68-51 win. Lofton finished with 23 points and 5 assists while SHOOON filled up the stat sheet with 10 points, 11 rebounds, 4 blocks and 2 assists. 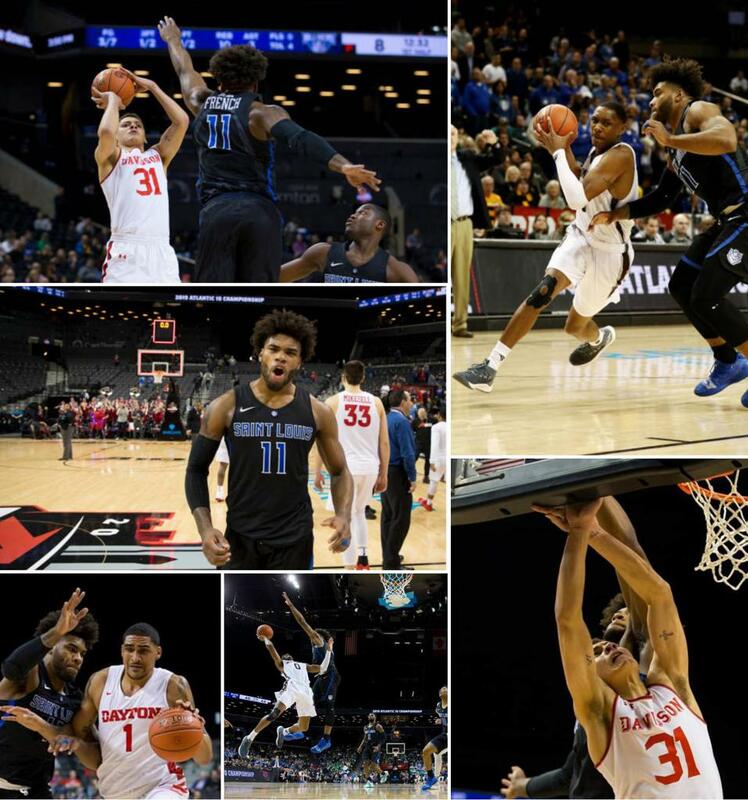 With the score locked 29-29 at halftime, Travis Ford’s team made a concerted effort to shut Davidson down from beyond the arch and use their overwhelming strength-&-athleticism advantage to turn the game into a streetfight. When it was over, Saint Louis would hold Davidson to just points in the 2nd half en route to a dominant defensive gem and a 67-44 win. French showed his chops on the defensive end throughout. In 37 minutes of battle, he’d finish with 7 points, 10 rebounds, 4 assists, 1 block and 1 steal. It was on to the finals which now doubled as a New England Prep product showcase. There were no secrets heading into Sunday afternoon. The Billikens were going to fight like hell to keep the score down. The Bonnies were going to depend on their shot-making ability and live with Saint Louis shooting it from the outside. At the end of 40-minutes, we’ll see who survives. After the opening 8 minutes, the Bonnies held a commanding 18-5 lead and Lofton had scored or assisted on 14 of those points. It looked like SLU’s offensive issues were finally going to lead to their demise and end their season. But extended stretches of tough Saint Louis defense being able to overcome extreme spurts of St. Bonaventure’s offense would become the story from that point on. French made a layup to cut Bonnies lead to 24-19 with about 6 minutes left in the half. Lofton’s squad answer with a frantic 10-0 run over the next 90 seconds to take a 15-point lead with halftime approaching. Saint Louis fought for their lives and Jordan Goodwin went on a personal 6-0 run to cut the deficit to 34-25 at the half. The two teams exchanged buckets for the opening 3 minutes of the 2nd stanza and, with the score at 41-33 in the Bonnies favor, it looked like we were finally about to witness a stretch of offensive fireworks. Things don’t always look the way they appear. The fireworks went unlit and the score remained the same for the next 4 minutes of game time. Something about that must’ve brought the Billikens into their comfort zone. From the 12:32 mark until the TV Timeout with 3:40 left, Saint Louis went on a 9-minute 21-5 run. It reminded me of the basketball equivalent to Floyd Mayweather systematically breaking his opponent by dodging punches and landing clean body shots whenever the opportunity arose. The Billikens now held a 55-46 lead and trips to the NCAA Tourney started getting booked across the Gateway to The West. To their credit, St. Bonaventure showed an unbelievable amount of resiliency until the bitter end and fought their way back into it with ballsy shot after ballsy shot. Somehow, with the lead trimmed to 55-53 thanks to five points from Courtney Stockard and a pair of FTs from SHOON, they had the ball with a chance to tie-or-win the game with over 0:15 left on the clock. Here’s how it went down…. 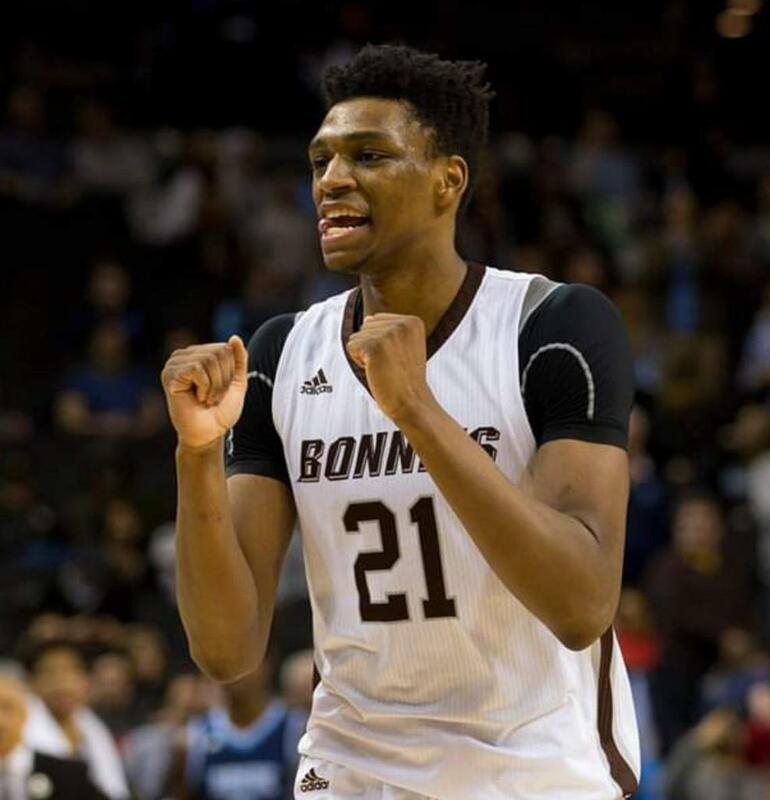 While it was an absolutely gut-wrenching way to lose for Lofton and St. Bonaventure, it appeared to be as much of a relief as it was a party for French and the Billikens. As the preseason pick to win the conference this season, they battled through a massive amount of controversy and will be able to look back on it as a means to a phenomenal end.